On the left hand menu click on the tool labeled “Syllabus”. 2. From the tabs at the top of the page, click “Add Item”. 3. A box will appear asking you to name the item. In this box you also have an editor, where you can create your syllabus if you wish. 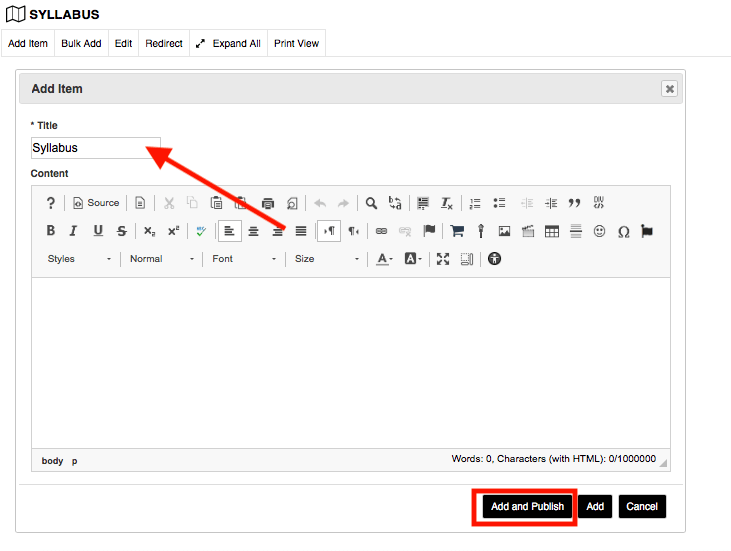 However, if you have already created a syllabus you wish to upload simply add a title and click “Add and Publish”. You will upload the syllabus copy on the next screen. 4. 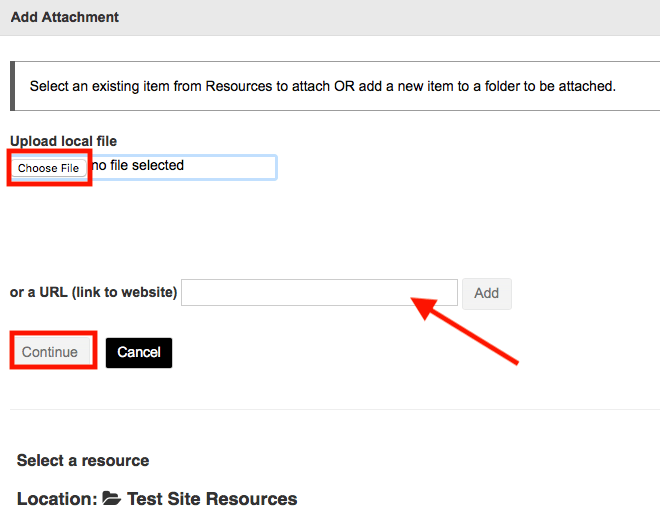 Now, if you are uploading an already completed copy of the syllabus, you will click “Add attachments”. 5. 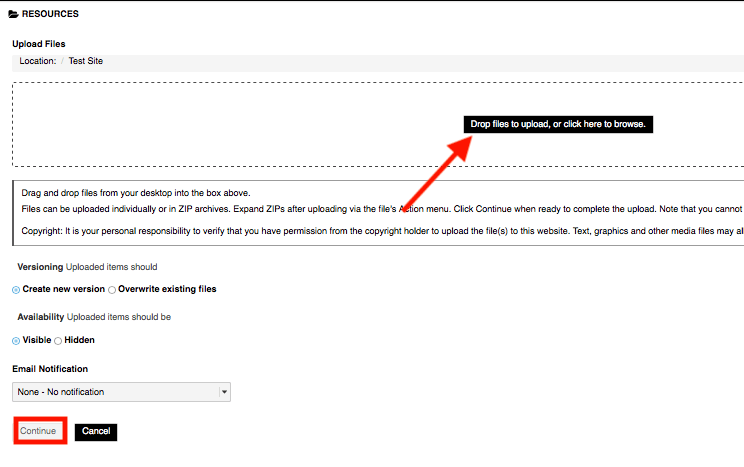 Click “Choose File” and select the file from your computer that you wish to upload. 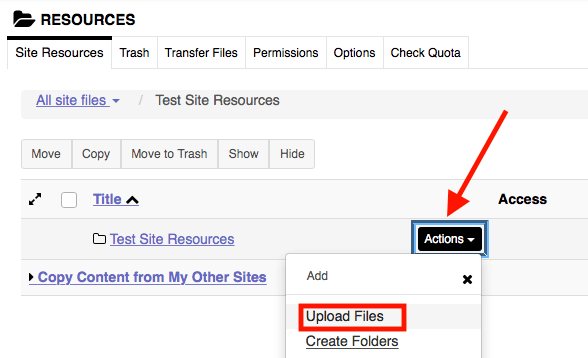 You can also add the syllabus as a URL, or you can scroll down to add a syllabus from another Sakai Course site if it has already been uploaded. After you have the syllabus uploaded, click “Continue”. 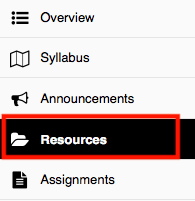 Students will now be able to view the syllabus when they go to the Sakai Syllabus Tool.